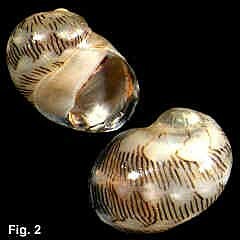 Description: Shell with low to moderate spire, width equal to or less than height. Surface smooth and glossy. Columellar callus reflected onto body whorl as smooth, thick deck. Columella weakly concave, with 4-7 denticles centrally, decreasing in size from top to bottom. Outer lip sharp, smooth, simple. Colour cream background, with variable pattern of wavy, axial, black lines. 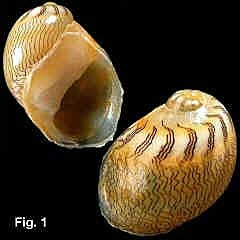 Operculum calcareous, grey or white, smooth and glossy. 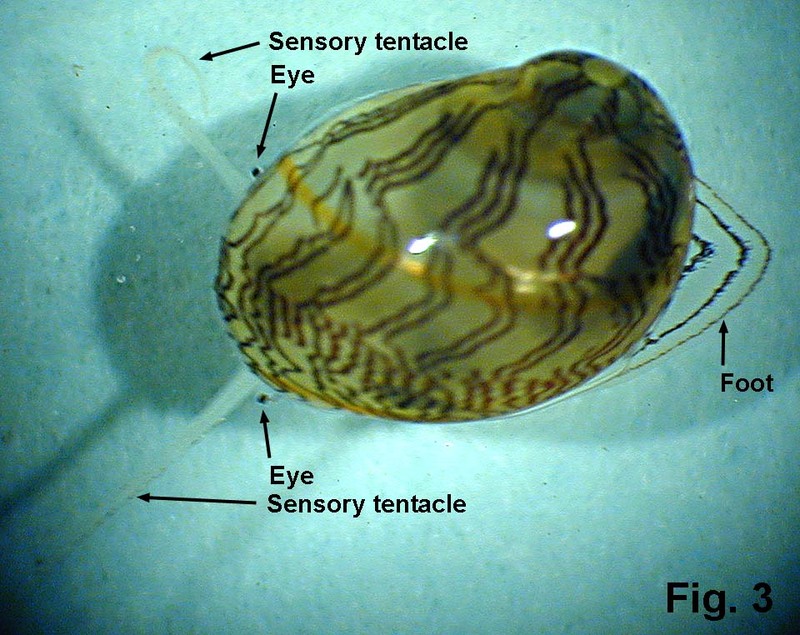 Size: Up to 6 mm in height, but usually less than 4 mm. Distribution: Indo-West Pacific; in Australia, North West Cape, WA, around northern Australia to Twofold Bay, NSW. Habitat: Lives on seagrass intertidally and in the shallow subtidal. Remarks: This pretty little shell varies in height to width ratio, and has an enormous variety of patterns, with any combination of wavy axial lines and white patches and bands seeming to be possible. In NSW the two patterns shown in Fig. 1 and 2 are common, but many other variations also occur. There was confusion about the species of Smaragdia in Australia and their names until Loch (1994) reviewed the genus. The two species which occur in NSW are S. souverbiana and S. tragena, both treated here. S. rangiana (Recluz, 1842) is a common Indo-West Pacific species that occurs in Queensland but not in NSW. S. roseopicta Thiele, 1930 occurs in central WA.